During the 2015 CGMA (Country Gospel Music Association) Eastern Division Convention, held August 17, 2015 through August 22, 2015, in Kissimmee, Florida, Loretta Hummel received three silver heart awards, namely: Bluegrass Artist of the Year for Down By the Meadow, which is on her upcoming album This Heart of Mine. Lyricist for My Savior, My King, and Yodeler for My Shy Friend. The words and music of these songs were written and composed by Hummel. 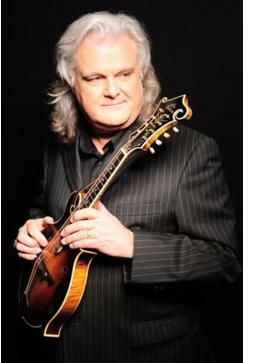 Nashville, TN -- Though Ricky Skaggs may be more widely known for his Country and Bluegrass music, there is another format that remains very near and dear to his heart -- Gospel. In fact, it was Gospel hymns that ignited Skaggs’ love affair with music. To date, almost every album Skaggs has released has included at least one Gospel, Christian, or inspirational Country song. On August 14, Skaggs’ adoration for the genre comes full circle when he is inducted into the GMA Gospel Music Hall of Fame. 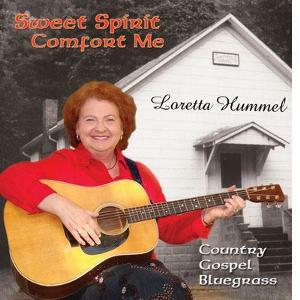 Hagerstown, MD -- Award-winning, recording artist Loretta Hummel releases her new studio album, "Sweet Spirit Comfort Me" The album represents a sought after vocal harmony of old country gospel and bluegrass music. Hummel's lyrics express the depth and richness found in life as her heartfelt songs are about local life, friends, love and Christian faith. Paul Mullan, Station Operations Manager of WMSG Radio Station, 1050 AM, states "We've all heard of people who wear their heart on their sleeve. Well, Loretta puts her heart in her voice. Her lyrics are some of the most penetrating I've heard, and her songs mean so many different things to so many different people. She's a joy to be around and a joy to listen to."